Loving the boho chic vibe right now, and Raj on 3rd has all kinds of items that you can use to build that look in your home. Some are expensive (they have lots of gorgeous inlay items) and some are more suited to a rehabber’s budget. Love this chair. 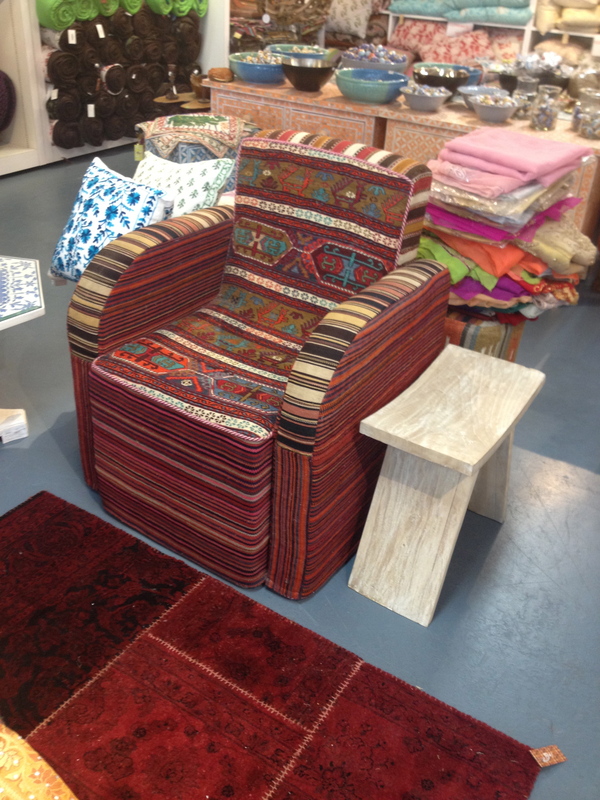 The sales girl said it came from Iran. 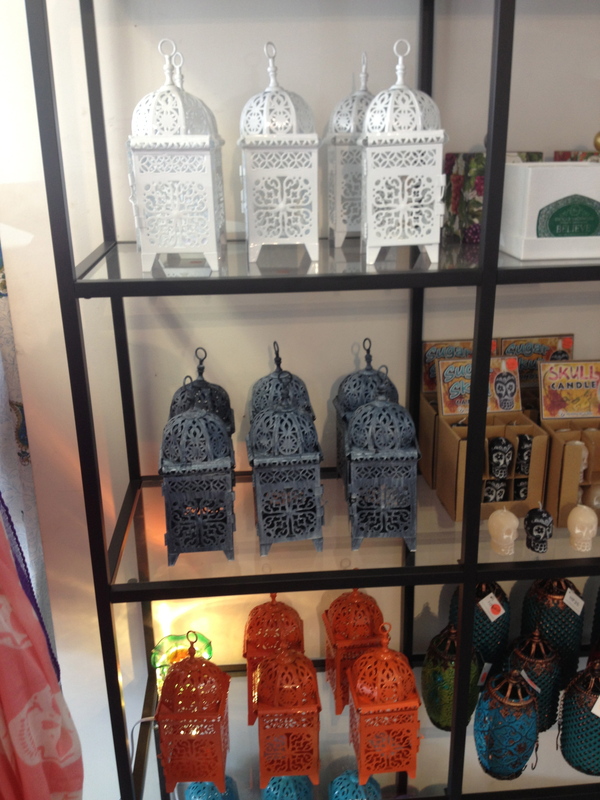 I’m all about lanterns. And those of you that have been reading for a while now know about my obsession with anything orange or grey! 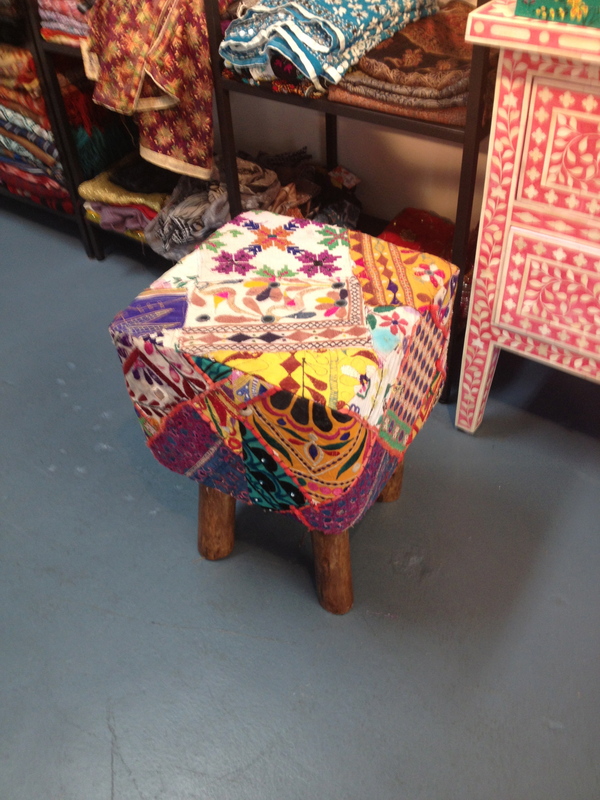 These stools are awesome! They also have some really cool poufs made with similar fabrics. Last but not least, the inlay! 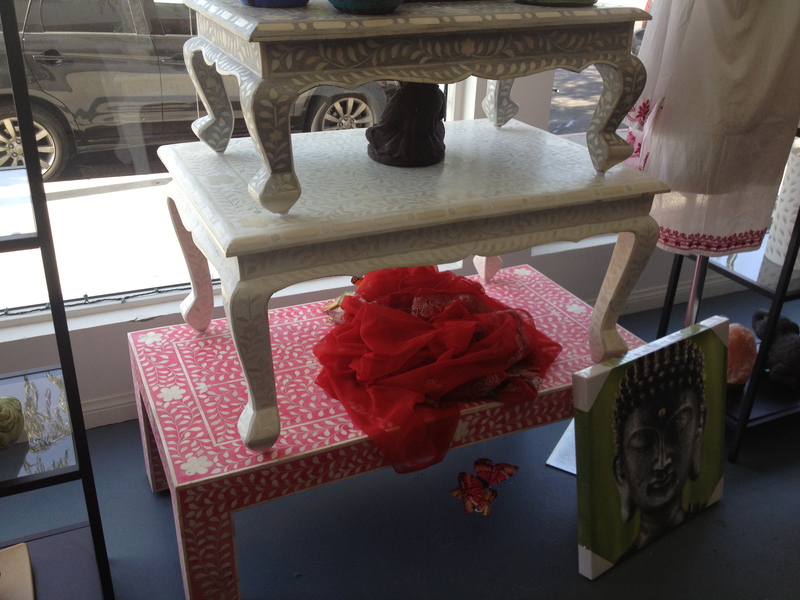 I love, love, love the white on white coffee table. Liberace-tastic!